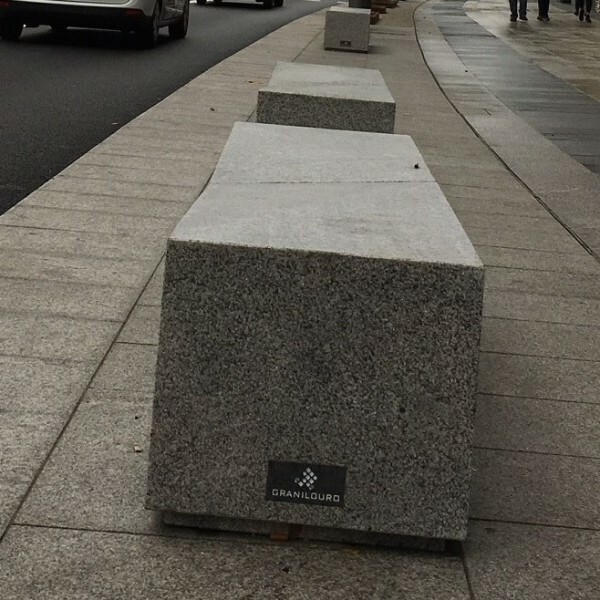 These are some of the latest works and projects with natural stone in urban furniture carried by GRANILOURO. 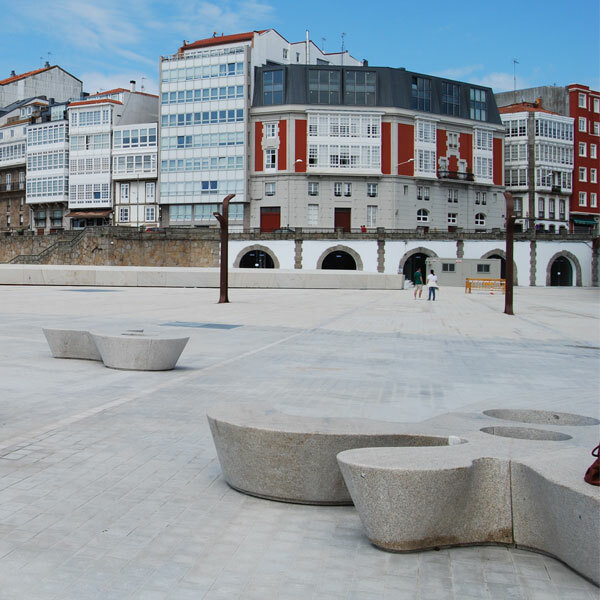 Three tone yellow granite tiles and urban furniture were used for ‘Paseo do Parrote’ in A Coruña, from a ‘Collarte Architects Studio’ project where the granite benches are an exclusive and unique design. 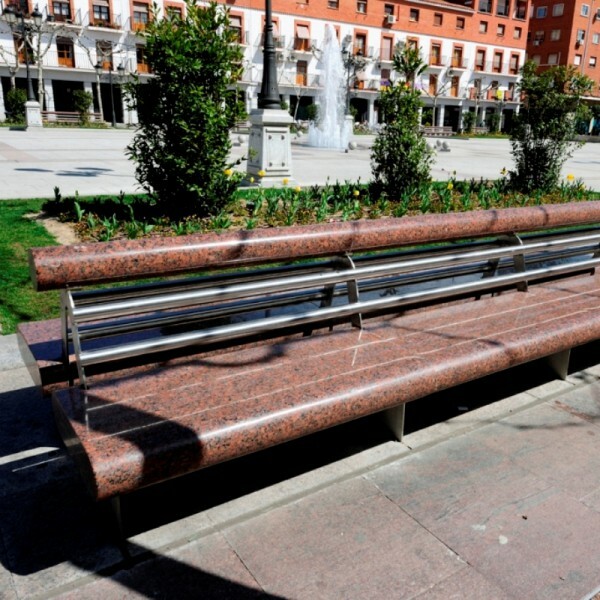 This large estate surrounding the four towers located in the former sports city of Real Madrid, was enriched with a multitude of granite benches. 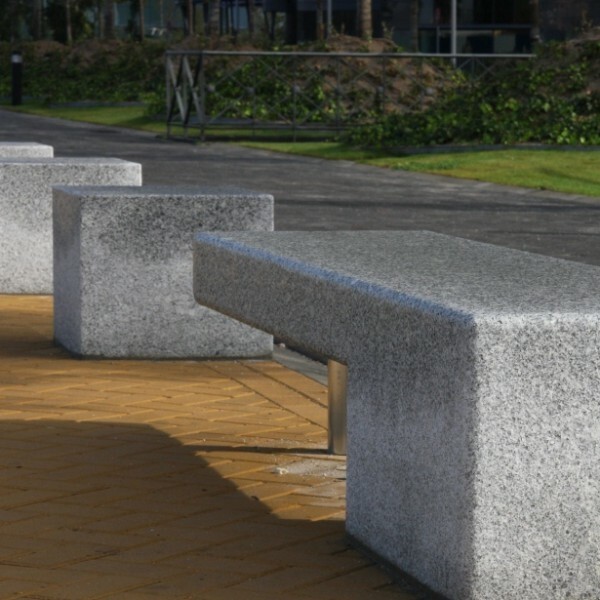 In addition to the paving installed, this work enriches the square with great benches fabricated in polished red granite. 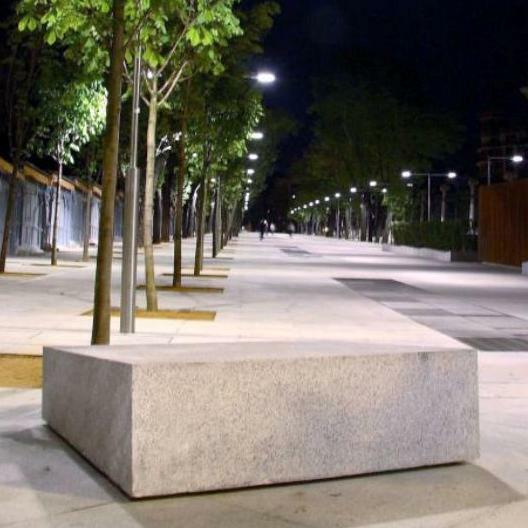 Some rectangular benches adapted to the slope of the street were manufactured to be installed in this beautiful street of Madrid, where every year the book fair is held.